This health insurance review centers on the United States Letter Carriers Mutual Benefit Association (USLCMBA) representing letter carriers working for the US Postal Service. 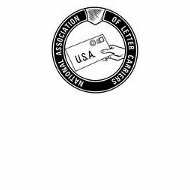 The USLCMBA is the life insurance arm of the National Association of Letter Carriers (NALC) formed in 1891 to provide support for the nation’s postal workers. Only members of the Mutual Benefit Association are eligible to apply for insurance policies. Side-by-side health insurance quotes are only moments away when you enter your ZIP code below. Because the NALC is a labor union, and all their insurance products are self-funded and operated, the way they do things is slightly different from a commercial insurance company. Regardless, their health care plan is a generous one by comparison and is owned and operated by the union. The health-insurance plan was started in the 1950s in a small office at the union’s Washington headquarters. Today the MBA boasts hundreds of millions of dollars worth of policies issued to its members. The USLCMBA’s health insurance is designed to be a primary health plan for all postal workers. It is designed to encourage preventive medical care through regular doctor visits and immunizations as well as providing major medical coverage in the event of accidents, chronic illnesses, and surgeries. The health plan works on a PPO model by contracting with doctors and facilities willing to participate in the network. Like any other PPO-based health insurance plan, members get better rates by utilizing a doctor or facility within the network. For routine visits and immunizations, members will have no co-pay when using a PPO provider. If it becomes necessary to visit a doctor or health facility outside of network, the member will have to make a co-pay and the provider will undoubtedly bill the insurance plan at a higher rate. For this reason, the MBA highly encourages its members to seek services from within the network whenever possible. As a side note, USLCMBA also offers life insurance at various levels to its members. Life insurance policies are generally standard term or whole life policies; the union doesn’t engage in non-standard whole policies or annuities. It is very common for insurance companies to utilize independent agents and producers in the states where they do business. However, since USLCMBA is not an insurance company, they do things differently. Being a union, they have no need for independent agents to solicit their health or life insurance. They have a captive customer base, which is accessed simply through the normal lines of the union’s communications. Parties interested in obtaining USLCMBA’s insurance would do so by contacting their local union office. In all likelihood, that office will have an insurance specialist whose only job is to handle the local’s insurance needs. Whether or not individuals must visit the local office in person will vary. At the very least, the insurance specialist at the office will provide paperwork and instructions to those interested in health insurance. For health insurance, USLCMBA the members enjoy a direct billing model for claims. In other words, when a member of visits his doctor for a routine visit he pays nothing at the time of service and never sees a bill. Network providers bill USLCMBA indirectly for services rendered. The one exception to this rule would be in a major medical scenario where the member’s benefits do not cover services rendered in full. In such cases, the member may have a co-pay at the time of service or may receive a bill later on down the road. When members utilize doctors outside of the network, things may be significantly different. Some non-network providers will not bill directly, leaving the member to pay for service out of pocket and then seek reimbursement. Those that will bill USLCMBA indirectly will still usually require co-payments to be made at the time services are rendered. Members who needed to utilize services outside of network should ask about payment policies and billing up front. Health insurance quotes are available from all sorts of companies you enter your zip code into our free search tool.